This was the first relief sculpture class at STUDIO 27B. Students tackled the three-quarter portrait in profile – as an introduction to this challenging, but compelling sculptural form. Relief work involves a combination of two and three dimensional skills – and some quite mind-bending conceptual shifts for students new to the art. It’s a more intellectually testing task than either drawing or modeling, because it hovers between the two and combines materiality and illusion – a potent mix that, when successful, can be used to great narrative effect. You could hear a pin drop in the studio during the initial stages of the course – but then things just clicked and work proceeded apace. 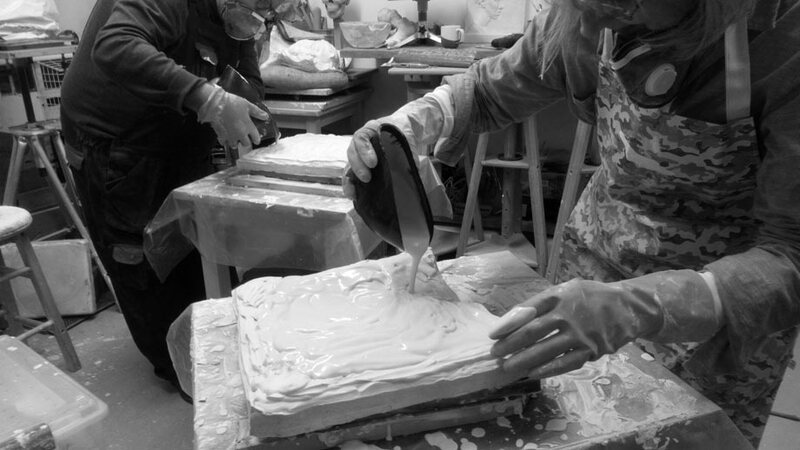 We made moulds of the finished clay pieces on the third day and arranged a studio drop-in to complete plaster casting by the waste mould method – resulting in a durable, finished piece of relief sculpture for each student to take home.